Wearing the imperial bridal gown and crown, Grand Duchess Helen Wladimirovna of Russia was married today to Prince Nicholas of Greece and Denmark, the third son of King George and Queen Olga of Greece. The betrothal ceremony took place at Tsarkoe-Selo, which was followed by the Orthodox wedding service at the palace church. The Metropolitan of St Petersburg presided at the wedding. 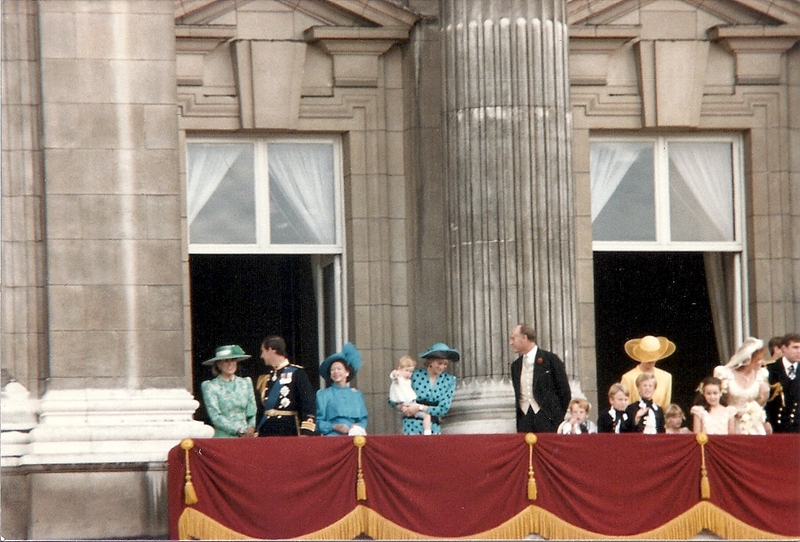 A "grand State dinner" was held in the palace in the evening, and it was attended by members of the imperial family and other "distinguished guests." Nicholas and Helen had become engaged on June 13, 1902. Nicholas noted that Grand Duke Wladimir's daughter was "lovely and fascinating. This was not the first marriage between the Russian and Greek Royal families. Queen Olga was the daughter of Grand Duke Constantine. Two of Nicholas' sisters, Alexandra and Marie, had also married into the Russian Imperial family. Alexandra died in childbirth in 1891, only two years after her marriage to Grand Duke Paul Alexandrovich. 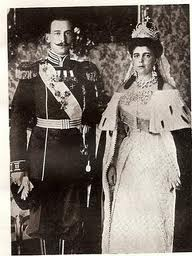 In 1900, Princess Marie married Grand Duke George Mikhailovich. This marriage took place in Greece, rather than Russia, as the Princess remained loyal to her homeland. Nicholas and Helen's honeymoon was spent at Ropcha, near St. Petersburg. Within the month, they were in Denmark where Nicholas introduced his new wife to his Danish relatives, and then it was back to Russia, where Helen said goodbye to her family. The final stop before heading to Athens was in the Crimea where the newlyweds spent time with Nicholas and Alexandra. Then it was home to Athens to their new home -- a wedding gift from the Russian Emperor and Empress. Nicholas considered himself a happily married man. "From the moment my wife arrived in Greeec she took the keenest interest in her adopted country, and did all she could to help charity works and all social welfare." But Nicholas' was not Helen'st first love. In 1898, Helen had become engaged to Prince Maximilian of Baden, the heir to the Grand Ducal throne. Their engagement was broken only days before their wedding in June 1899. Stay tuned. Why was the engagement with Max of Baden broken off? Did she or did he do it? The nuptial crown that she is wearing int he photograh can be seen at Hillwood, Estate and gardens in Washington, DC. Why did Princess Clara take the veil? Boris' Pro-Axis sister may play "important role"
"The lassie's got her bairn"
France to restore Bourbons ???? Otto & Maria - Romance or not? Princess Michael stands by her man! Grand duchess of Saxe-Weimar bolts! How did Elisabeta meet Marc Favrat?